Tell us about YOUR Bard! My Bard has developed multiple personalities (a Rogue) and has grown to distrust herself and her other personality immensely. So she took the ritual Ritual Caster feat to get a Familiar so the familiar can spy on herself when the other personality is in control. Our bard grew up in a small village, whose only saving grace was that it was the last town before the endless forest of the west. This convenient position has made it a sort of landmark for any and all adventurers that wish to go into the forest, and returning. It is here that Dack's mother, Genevieve, met his father. Genevieve is the owner of the towns inn, and one night she was smitten by a swashbuckling Tiefling passing through town with his adventuring party. One thing led to another, and nine months later, a Tiefling was born. Many of the towns inhabitants began to whisper of how she had become a consort to demons and devils, yet none dared to raise their suspicions or accuse her directly. How could they? That inn was the lifeblood to the town. This didn't stop the rest of the children from mocking poor young Dack though. Bullied, ostracized, and shunned Dack found himself alone in the world except for three companions. His mother who loved him unconditionally, Henry the town blacksmith who had taken a liking to the boy and taught him the wonderful ways of the lute, and young Lorna the mayor's daughter. Lorna had a rare condition, albinism, and this led to her being kept away from the outside world most of the time. Her isolationism, alongside her extremely pale skin and deep red eyes, caused her to receive some shunning herself, and through these mutual experiences alongside Dack's mastery of the lute brought them together. The townsfolk began to call them "The infernal couple"
This angered the mayor to no end and he provide Genevieve an ultimatum. Your boy leaves town alive, or dead. In the end Dack chose exile, to spare his mother the grief, and his life! As he was leaving Henry handed him a small adventuring kit, and a young puppy that had been born to Henry's dog as a companion. Dack called him, Henry Jr, not the most creative kid. It's been years since then and Dack has grown through adolescence into maturity, and he made his way in the world as a minstrel and entertainer. With the small magic his bloodline affords him he has trained Henry Jr. To help in his shows. He can make it seem like the young pup breathes out smoke and fire, dazzling lights spew from the dogs footsteps, and other effects. Now he roams the land bragging about slaying monsters he has never killed, meeting people he has never seen, visiting lands he has never set foot on, and sleeping with women from all races that he has never even been able to make eye contact with. He is calm cool and collected on the outside, but on the inside he is still very much a scared young man who only wishes to become famous and well known, to just finally make a friend like the young girl he knew in his youth, and perhaps return to her one day and finally confess what he wish he had the courage to say, those many years ago. He doesn't play music but is more of a trick shooter with a hand crossbow. Let me introduce you to Ivellios Liadon, my High Elf College of Lore Bard. Currently he is Level 6 and a Noble, more specifically the Crown Prince of Celene, next to inherit the throne after his mother. He carries along with him a silver violin that has black trim and detailing which he plays, also able to masterfully play the cello and the piano as well. Eloquent and regal, he is quite skilled in negotiations and getting whatever he wants from others, whether it is by charm and wit or by using any means necessary such as shedding some blood or breaking their mind and soul. When one asks of Ivellios' motivations, he will tell you that he simply wants peace between the races and to bring them all together as allies, to prove that he is worthy of the throne. In reality he is speaking nothing but lies, though he is telling the truth in regards to proving that he should be worthy of the throne. Much like his kind back home in Celene, he believes that they are superior to every other race, wanting nothing more than to enslave and/or kill the other races and believing that he can do so once he obtains enough power and influence. After all, first he needs to manipulate the poor fools of Faerun into believing that he is a hero who genuinely wants peace and that only someone as diplomatic as him can rule over a kingdom. The common people and even those who are in power much like himself seem to trust musicians and let their guards down around them oh so easily, believing every sweet little lie that he speaks and falling for his exquisite melodies, using everyone around him with no care or remorse at all. He is a true monster beneath all the elegance, a being who thoroughly enjoys bringing everlasting pain and suffering onto those he finds unworthy of living or who would dare to cross and anger him so, making them pathetically wish that death could come swift. I've only been playing in Adventurer's League so far, so with regards to that he is with the Zhentarim and a part of the Black Network. With their connections, he is sure that as he becomes more powerful, he will rise up in the ranks in order to gain more influence so that he can accomplish his goals and further his ambitions. One is Alciel Telyari and he is a bardic drow who is a violinist. He was a decent player and was about to enter a competition against a prince of his homeland when on the way there he was ambushed. The prince was racist and hated the idea of playing or even losing to a drow so he had his ambushers cut off Alciels hands. In this moment of weakness Alciel was contacted by (insert generic evil god here) and offered a deal. The most skill he or anyone could ever have and his hands back in exchange for a steady supply of souls. Alciel went on to beat the prince in the competition and later kill him and that was the first soul he sent to the underworld. He then wanting to spread his music and needing a steady supply of souls joined an adventuring group and began his adventure. Currently work-shopping a Glamour Bard who acts like a superhero...inspired in no small part by the anime character All-Might, voiced by the legendary Chris Sabot. The idea is that this changeling, Kaldyr, lived a very reserved and timid life, keeping to himself within the City of Splendors. This was easier said than done, however, as Waterdeep was known for its criminal element, and more often than not, Kaldyr and many of the other folk within the city found themselves at the mercy of thugs and murderers. Kaldyr could use his power to alter his appearance to evade their notice, but other people were not so lucky. Kaldyr grew to resent himself for being afraid, a fact that left him bitter. But word got out that Kaldyr was a changeling, and certain criminals sought to forcefully recruit him to serve as a spy & thief for their own nefarious deeds. They came for him one night, and when he resisted, they attacked him. His life was saved, however, by a mysterious woman...an Aasimar, of incredible strength & majesty, who literally dropped from the rooftops and single-handedly overcame the attackers. As the thugs assaulted her with knives and axes, she laughed and deflected the blows with her blade. The spectacle inspired Kaldyr, who had never seen such valor and skill. However, when one of the goons lunged at her blind spot with a blade, Kaldyr quickly interposed himself between the blow, catching the knife in his shoulder. Though he was wounded, Kaldyr's intervention was enough for the woman to send the criminals into retreat. The Aasimar introduced herself as Sidony, a bard of the College of Swords. She and her fellow bards were known as Blades, and it was their duty, she said, to protect the innocent from the tyranny of those that would do them harm. Kaldyr had heard stories of these sorts of bards, who were more like dashing heroes than the common tavern singers, though he'd always assumed that they were myths. Sidony informed him that they operated in secret, doing good deeds when they could, yet often were pursued by the corrupt in power, or scrutinized by law enforcement. As Sidony healed Kaldyr's wound, she noted that his actions in the moment had been particularly noble. Feeling fulfilled for the first time in his life, Kaldyr asked if she would train him. Initially taken aback, Sidony nonetheless considered the offer. She taught him the magical secrets of the bards, powers handed down through generations of heroes like herself. While Kaldyr was something of a novice with a blade, lacking Sidony's natural finesse, she taught him that being a Blade was more than just fighting...it was the willpower to stand against the darkness, the charisma to re-assure and inspire others, and the willingness to help people. Kaldyr developed his own style...channeling his own changeling gifts and mingling it with magic of the bards, he could emanate a Mantle of Inspiration, which invigorated allies around him and could heal them from injury. Likewise, he could project a Mantle of Majesty, to intimidate foes into surrendering. Sidony realized, as his student grew in talent, that Kaldyr would not simply be a Blade, fighting injustice in the shadows...he would become a literal hero, just like in the myths...a living symbol to inspire the common folk. Then one day, Sidony received word of some looming threat beyond the city, one that required numerous Blades across the continent to defeat. She entrusted the protection of Waterdeep to Kaldyr, and left to face the danger. But as the months became years, Kaldyr received no word from his master, though he continued to serve as protector of his city. Finally, when things in Waterdeep were stable enough, Kaldyr decided to leave his city to seek out his master, fearing that whatever terror she faced might have killed her...along the way, he'll combat tyranny in any form. The "Magical Secrets" are the gifts passed down from master to student, through generations of bards...and Kaldyr, while not the greatest swordsman, is able to channel the abilities of his master, Sidony, in order to augment his own sword skills...spells like "Steel Wind Strike" and "Tenser's Transformation" will be gained as he continues to push himself to his limit, remembering his training. When Kaldyr finally gains the Glamour skill, "Unbreakable Majesty", it will represent his full heroic presence, as enemies will crumble against him, or else succumb to his might. Malloth is fairly young by elven standards, and only ever left his sheltered home in order to study the bardic arts-- something that, up until he gets his hands on a quest in need of adventurers, he's done at college, with books and sheet music and lectures and hours upon hours of practice, but... no time out in the real world. Honestly, he looks a little like a giraffe and a goose had a baby and that baby turned out to be an elf, but his charisma is such that he might need to roll to avoid seducing people. Like, he has never been in an environment that wasn't all bards, so he just thinks he's... a little charismatic and people like him because he's nice, he's really got no scale for what charisma is like out in the real world. In fact, he knows nothing about life out in the real world, but he is so jazzed to find out! He wants to meet new people and see new places and try exotic foods and maybe find himself in mortal danger, golly, that would just be neat! He is prepared to be fascinated by everything, up to and including the quickly approaching jaws of some dangerous beast. I've also got a future Harpers' Guild contact for my guys, who'd be Malloth's eventual superior, who's a lot less goofy and who's part of a folk hero band. Meet Addison, my level 4 bard whom I will be playing for the first time this evening. Don’t let his act fool you—when the situation calls for it, he can be as serious as a heart attack, and is a top-notch disguise artist, illusionist, and con-man, and his tales and tunes of tragic surprise and black comedy tend to leave audiences slack-jawed and in shock. Mischievous (though not malicious) with a dark, dry sense of humor that is easily mistaken for nonsense or even madness. Has a habit of wearing threadbare women's clothing and horribly applied lipstick unless a serious engagement demands a more serious tone or a convincing disguise. Constantly tells deliberately outlandish lies in an unbelievable fashion for his own entertainment. Loves to [mess] with people. Addresses others, including strangers, using absurd and cutesy pet names, such as "sparkleberry," "wobblycheeks," and "muffinlumps." He tends to obsess over his hair, insisting on washing it 2-3 times a week, and combing it neatly into a clean cotton sack before sleeping every night. He also goes to great lengths to keep his face pale and colorless, either by application of sun-blocking pastes, or outright avoidance of sunlight. Will often unwittingly lead by example of physical action. When, at a critical juncture, he sees an opening or opportunity -- in both social situations or combat -- he steps right to action, exerting his authority or knowledge on a situation, creating a distraction for others to act upon, or simply attempting to eliminate a threat or problem outright. If others don't use this opening or join him in action, he will give subtle nonverbal cues to encourage them. When confronted on account of his erratic behavior, will often drop whatever act he is upholding, raise himself to his full 6'2" stature, pull his sleeves back, and bellow a short and to-the-point threat to his would-be assailant. Unless, by some rare circumstance, he was looking for a fight, in which case he respond with a vicious haymaker punch. When asked his name, Addison insists on the effeminate "Addie" to all but his closest friends (who he asks to call him Addison). Due to his appearance, most people hear "Eddie," and due to his nature they assume he's half-cocked: hence the nickname "Mad Eddie." Harmless freedom of expression, especially that which flies in the face of norms, is the birthright of every living creature. This does not include the freedom to harm or hurt. Laws, as pertaining to protection of person or property, are for the most part to be followed. The innocent who cannot defend themselves from tyranny or cruelty need protection, especially if they are targeted for their beliefs, behavior, or background. Children and persecuted races (especially half-elven) are especially important to protect. I fight for those who cannot fight for themselves. I learned at an early age confusion, surprise, and inconsistency are the best strategies in most any conflict, whether martial or social. I lost a dear half-elven friend when I was young. I've spent a lifetime trying to replace him. Compulsive, though not malicious, liar. Addison will tell an outlandish story or give a purely unbelievable response to even the most mundane of queries. Volatile temper triggered upon seeing an innocent person accosted or assault by another for no reason. If the perceived abuse is verbal Addison will usually respond in suit, ridiculing and intimidating the attackers into either leaving or picking a fight. If the abuse is physical, especially life-threatening, Addison has been known to leap straight into action, attacking the assailant physically. The first thing you notice when you meet Addison is the lipstick. Not because of its sloppy application, as if it were dabbed on from the tip of a rapier wielded by an ale-addled gnome standing tiptoe on a barstool. Nor because the lips are attached to a slender head perched upon a towering hulk of a human frame that stands over six feet tall. What really stands out is the way the garish, glossy red hue clashes with the rough, bluish-grey 5 o'clock shadow that covers the rest of the lanky face. The remainder of Addison's presentation has less impact after the initial shock of catastrophic lipstick: a faded and stained, long-sleeved blue dress draped over some darker though unidentifiable undergarments; a grimy, white lace glove on the right hand; a dented and tarnished 5-string lyre, unusually small, resting on a tight body strap just above his right hip; a sturdy pair of well-worn boots. Closer inspection--few are ever comfortable enough to make it so far when encountering Addison--reveal a set of gleaming dark eyes unusually present for such a seemingly troubled soul. A cascade of silky black hair, slightly disheveled but unusually clean, springs forth in a neat line high from the forehead, slicks straight back, and down to the middle of the back, with about a half-dozen wispy braids mixed in. The skin is fair, unusually fair compared to the dingy clothing, as if the man were a lost nobleman who had never set foot in the sunlight until today. Though it's no surprise that beneath this failed attempt at effeminacy is a human-born male, what does come as an eventual revelation is just how much of a man Addison really is. Whenever the blue dress gives way to show bare flesh or a tighter article of clothing (he wears men's clothes, or even armor, beneath his dress), it seems as if the Gods had used Addison as a model to perfect muscle-making on the human frame. His thighs look as if they were stolen from an albino half-orc; his bulging arms would make dockworkers wear long sleeved tunics in shame; and when he lifts his arms his shoulder muscles each ripple and buck like a raging badger trapped in a wineskin. A chondathan human who grew up in Arabel, Cormyr, Addison was raised by his father, a miner; his mother had died at childbirth. As a child Addison befriended a half-elven neighbor boy, Thurdan, who shared his overactive imagination and love for creating stories. The two enjoyed skulking around the city putting on mock performances for strangers who appreciated their youthful, carefree antics. As teenagers they were mostly separated. Addison was all but forced into a life of physical discipline on account of his father, who saw his son's massive growth spurt as a sign from the gods that the boy was destined for military service. Thurdan was allowed to pursue his passion, and attended a bard's college to refine his performing arts. What little spare time the boys had left outside their schooling was spent together, where they continued their acting, singing, and playing. When they were together Addison was quick to protect his half-elven friend, who bore a great deal of teasing, bullying, and sometimes even physical aggression--some arose on account of his half-breed ancestry, some for his overacted performances, and perhaps some for his love of wanton women (even those of the married variety.) While Addison's physical presence and harsh words scared most threats away, there were many a time he left one, two, or even a group of three bullies writhing on the ground with bloodied faces when they wouldn't back down from tormenting the half-elven bard-to-be. Just before Addison was accepted into the local army, catastrophe fell; at a tavern in another town, where Thurdan was performing, a minor barfight broke out and Thurdan fell off the performing balcony and broke his spine. He died a few days later. At the funeral, Thurdan's family gifted Addison the bard's favorite instrument: a weathered, portable 5-string lyre. Heartbroken, Addison committed himself in full to military service as a warrior and a part-time member of the army entertainment troupe. All throughout his service he blamed himself for his friend's death. Though he didn't know the circumstances (the death was said to be an accident, even though it took place during a physical fight), he was certain that had he been there at his friend's side, he would have either beaten the assailant down, or prevented the fight in the first place via pure intimidation. On the battlefield Addison would bleed his guilt and rage into raw physical terror, and on the stage he would pour his heart into his bardic passions, channeling his mourning for his best friend into every role or song he played. Towards the end of his stint in the military the muse's call was too strong, and Addison tried desperately to leave the army early in order to join a bard's college. In an attempt to convince his superiors that he was battle-weary, which would provoke a physician's discharge, he began wearing women's clothing and makeup off the stage, around the barracks, and often times into battle. His leaders wouldn't buy the act. They knew Addison was a top-notch performer, and suspected that he was playing up his mental stress. More importantly they knew that he was one of the most ferocious warriors in his regiment, ranking 68th for top confirmed orc kills. There was absolutely no consideration to discharge the young man. Even when Addison started getting into massive brawls with some of his fellow soldiers, who were uncomfortable with his wry humor and women's clothing, his superiors turned a blind eye to the violence. Addison finished his tour, leaving the army with fresh perspective on offstage performance. He continued the drag act, realizing it was a great way to both draw people in close and drive them away, depending on how he played his part. He could attract the attention of, or be ignored by, the same crowd, even in the span of ten minutes, with different angles on the same character. The day after he left the army he dressed in his most splendid threads (sans dress and lipstick), rushed to the nearest bard college, and dumped upon the dean's desk a large sack of money -- his saved stipends of his military career -- demanding to be taught the ways of the mystical bard. He chose the lyre as his principal instrument, and insisted on learning to play Thurdan's old portable 5-string. If the dean thought that such a large, brutish figure wasn't equipped for the delicate arts, he never said a word; he simply took the sack of money, and promised the best tutelage he could offer. And if any of the other bard acolytes had a problem with Addison’s dresses, lipstick, or erratic behavior, very few had the courage to make an issue of it. Those that did quickly changed their minds after just a few clear and convincing words from the warrior-bard. Wondered alone in the woods until he stumbled into a town where he met a bard who started teaching him how to play instruments (and later this bard would hand craft a small lute for my character) a few years passed when my mischievous tendencies got the better of me and i blew up a statue of the queen and my friend took the rap for it and was locked up. 2 years down the line i met up with the party (which is where my background ends and the campaign begins) we are now a meer 2 weeks of ingame time into the campaign and my merry band has already lost 3 of its members in combat (all of which were in the last session we had) and now i have a hard choice to make given that i have just seen my best friend (the firs of the party members i met) get crushed by a giant hammer swung by a man who swore to protect me. He knows the message and sending spells. When he is talking to the spirits that no one else can see, the part for now, just thinks that he's using message or suggestion. He has taken on the part of healer for the party, but having healing word and aura of vitality. Aura of vitality is new since he is a bard of lore. He is actually very weak, I rolled the stats and ended up with a 6 which I put into strength, so with the half-orc str bonus he has a str of 8, but u also rolled a 16 that went into charisma. Not at ALL a good fighter, he uses vicious mockery and distant whispers and cutting words a lot. Naturally, this masks him talking to spirits all the time. Fiego Laurentis de Gryphon, of the Waterdeep de Gryphones, is a dashing young half elf often seen about the balls and fetes thrown by the noble families of Waterdeep. His grandfather shocked Society gossips when he married the princess of a wood elf tribe from the High Forest, but by nowadays the de Gryphones are only mildly titillating. Fiego, stereotypical of a young noble, is something of a dilettante, and gravitated toward the Bardic College where he could pick up a little magic here, a little music there, all with a dash of swordplay thrown in. He dreams of the glory of heroism and even had the hand in creating Waterdeep's first Masked Vigilante, Nighthawk. 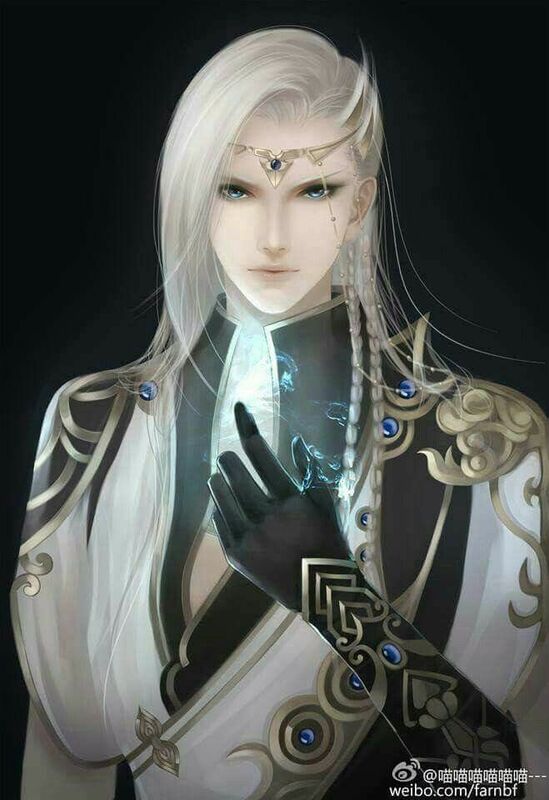 A recent dream dalliance with Eilistraeee, drow Goddess of swordwork and dance, has left him with a touch of otherworldy power, as well as a single shining silver strand of hair in his otherwise auburn locks. Edit: Oh yeah, and he speaks with his family's Cormyrian accent. Basically Inigo Montoya from The Princess Bride. Jai-Sol is the bard of Bahamut. He is a blue dragonborn who grew up in a town centered on a mountainside carving of Bahamut and Tiamat's first battle. Jai began work in the local church and became enamored with the stories all the pilgrims came with. Stories of Bahamut's will powering them through insane situations. Jai would always clean their equipment and prepare the ceremonies they would do after taking the climb up. One adventurer gave particularly amazing stories, and songs even! He introduced himself as a Sol, a bard working to spread the word of the Platinum Lord. Jai took great care with his equipment and asked about the order. Eventually, he swore and oath to the traveler to train his body and set out to see the world and bring the news. Jai climbed the mountain before he set off on his first adventure. He looked on the Platinum Lord's visage looking on the world and felt comforted to know that, no matter where, Bahamut would have his eyes on the young dragonborn. Through his adventures, Jai has brokered peace with the fey, rescued villagers from lizard folk, won multiple gladiatorial matches, and battled the cults of Taimat wherever they are found. The recent trip to the Underdark caused some brief insanity, but Bahamut guided him to Chult where he destroyed a necromancers plot and found a temple where his curse was lifted. Trip Fadecloak was a well-respected writer from Waterdeep, the City of Splendors. Having developed a knack for telling stories at an early age, he quickly became known as a famous best-selling author for numerous books & plays, such as "Beauty & the Tiefling", a steamy romance about an aasimar woman falling in love with a troubled tiefling, "Twelve Angry Clerics", a legal thriller about 12 very different clerics attempting to solve a murder, "The Tantalus Archives", a series about a sarcastic wizard detective investigating crimes and stopping the scheming of a villainous lich, and his most popular series, "A Song of Life & Death", a political epic about murder and betrayal. He would often frequent the many taverns within Waterdeep, mesmerizing audiences with his tales of daring adventures and dashing heroes. Unbeknownst to the public, however, was the fact that Trip felt quite empty in his own life. Depression gnawed at him constantly, as he never achieved any of the feats or accomplishments of the heroes in the stories he wrote. He'd always heard about the deeds of heroes, like famous dragon-slayers or the stalwart adventurers who braved the Undermountain at The Yawning Portal, and felt envious that he lacked the courage of such figures. And, as time went on, Trip began having difficult inspiring himself. He developed writers block, and soon nearly two years had passed without him being able to write anything. Desperate, he began seeking out information through various contacts he had created throughout his career, some of them in the criminal underworld. Trip created an alias, Tricky Nym Suda (or, adjusted, "Tricky Pseudonym"), for dealing with this network of spies, and began using the information he gathered as inspiration for his novels. He even managed to gather valuable secrets about some of Waterdeep's most powerful and influential figures, subtly pulling the strings to his benefit, and using them as characters in his novels to compensate for his creative block. Trip made a mistake, however, when he published his latest novel in "The Tantalus Archives", "The Eye of the Beholder". In the story, his character Tantalus was investigating the real-life criminal organization known as The Xanathar Guild, when the wizard discovers that the leader of the mafia is in fact a Beholder. Trip had taken inspiration from a ridiculous rumor that the Xanathar was some kind of monster, and thought it would make a good plot twist. Unfortunately for Trip, however, the REAL Xanathar Guild apparently didn't take kindly to the author's interpretation, and dispatched assassin's to kill the famous gnome. Trip was forced to flee his home, at least temporarily, in order to save his own life. Exhilarated by this close encounter with death, however, his experience somehow managed to thrill him greatly. Realizing that he now had an opportunity to become the actual hero of his own story, he ventured forward to seek out adventures, eager to make his next series of novels a chronicle of his personal experiences. Trip will often use his famous status of an author as an ice-breaker, asking if the locals have heard of his work. He also enjoys captivating audiences with stories, or telling fortunes using a marked deck of Tarot cards. Both a charmer and occasional liar, he delights in mingling fiction with reality, despite some of the trouble it gives him. While his alignment is somewhat chaotic and leans more towards neutral in his morality, Trip does have a deep desire to be a good person, as he yearns to be a hero. His backstory is that he’s a run away from his family after he accidentally cause his father to go missing when he was assisting him in some arcane study. So now he goes from town to town try to help other with his music and witts but also is trying to find out what really happen to his family so maybe one day he can face telling his family what really happen. This will work, trust me guys. When that urgent crisis strikes and tomorrow is so far away? Violin master, loyal servant to her queen, mom of her party. Only member of her party who isn't an orphan, is constantly appalled by their backstories. Loves her girlfriend. I would like to share a backstory for a Tiefling bard I came up with, if you don't mind. My name is Zeke Pique and i'm a gnome bard. Yes, you heard right, a gnome bard. I was born in a small gnome town where nobody ever heard of music and it was believed that us gnomes are not magical creatures (only good for tinkering with clockwork devices all day). That all changed for me one day, when i was very young. A traveling duo of performers, one lute playing man and the other elf woman singing, entered my town once. It was the first time anyone had heard music and i was enchanted by it. I decided there and then who i will be when i grow up. Well, it wasn't that easy. My parents didn't even want to hear about 'music' and they sent me to the Science University where i studied to be a clockwork engineer. I hated it at first but then i got used to it and expressed my creativity through making clockwork toys for my classmates. But my dream of playing music was still there, my desire burned strong. So I one day slipped away and went to visit a town in the human kingdom. There i saw all kinds of strange people and races i never encountered before. And it is there that i saw a man performing on a strange wooden stick, with one end big and round and the other skinny. He was hitting on some steel wires and the sound he made was godly. I later learned he was playing an instrument called a guitar. When i returned home, inspired from what i saw and heard, i locked myself in the Universitys workshop and build my own guitar (because all the other ones were too big for me). I then needed to learn how to play it, so when i graduated from school, i worked as a clockwork assistant, made some money and then left home. I set out on the adventure of a lifetime. I learned songs and customs of various cultures and races throughout the land. I visited a dwarven kingdom, where i had my guitar enchanted with dwarvish runes, making it sound like nothing from this world (like an electric guitar, mind you). I learned the softness and elegance of the elves, the strenght and ferocity of the orcs, the ingenuity and cleverness of humans. I even visited some fire elementals once, who enchanted my guitar strings, making them sound cleaner, and making them glow bright yellow if i played for a long period of time. I learned to vield magic with music and made it my goal to travel the world in search of the Song of Creation, the one that created this whole universe. Currently, I'm sharing company with a very diverse bunch of adventurers. A dwarf paladin with a belly capacity of a troll, a half-orc woman fighter that has a ball and chain infused in her very leg (as some sort of cruel punishment from her god), a human cleric who is fascinated over dead people and was blind for a long time (but now he's got fresh new eyes and is not afraid to use them), a gold dragonborn paladin who is also a pirate (how did that happen? ), a female tabaxi fellow bard that goes, ironicaly, by the name of 'Silence', a changeling rogue whos face starts to shift uncontrolably whenever he needs to 'water the flowers', a female tiefling werewolf with gorgeous blue furr and a crazy elf druid who spent too much time in the woods all by himself. These guys give me a lot of material for writing my songs. Do you wanna hear one?